Transform the look of your truck with Wade headlight & tail light covers. 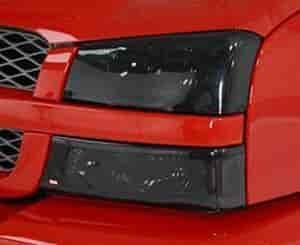 The Wade headlight and tail light covers also protect your expensive headlight lenses from rocks and other road debris. Designed to fit the exact contour of your headlights or tail lights and feature snap-on installation that takes only seconds to complete. For show and off-road use only. Limited lifetime warranty.